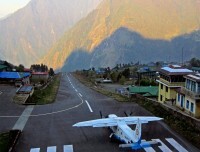 Flying from Kathmandu into Lukla, we head to Phakding with our equipped crew. 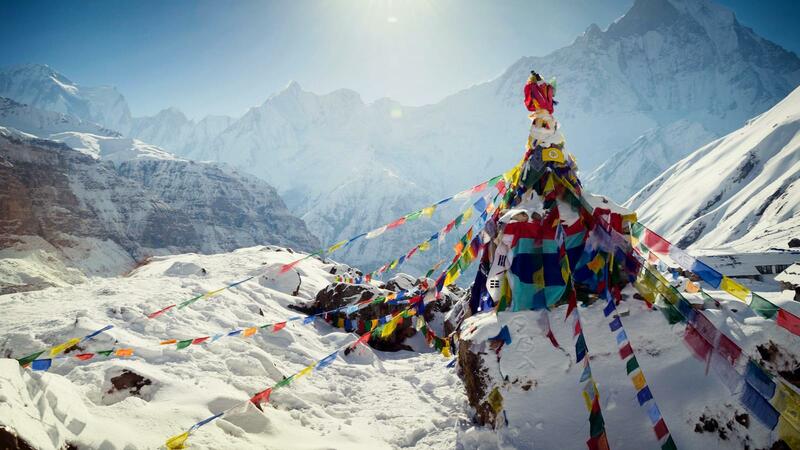 Afterward, we begin to experience serenity and wilderness in Sagarmatha National Park, a UNESCO World Heritage Site. 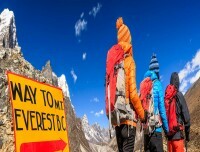 The adventure seekers and keen photographers find Everest Base Camp Trek a fabulous. We will be using normal teahouse accommodation during the trekking days in the mountain. During peak season ( Autumn- Sep-Nov) the teahouses and the trail are crowded. However, our experienced and professional team is always there to ensure your safety and luxury. We offer farewell cultural dinner at the end of the trip. Along the journey, you will relish the wonderful trek, support the local economy, explore your hidden strengths and make both friends and memories that will last a lifetime. Patan Durbar Square - located in central of city Lalitpur. It displays the Newari architecture that had reached its pinnacle during the reign of Malla kings who were great builders and patrons of the arts. Overnight in Kathmandu. 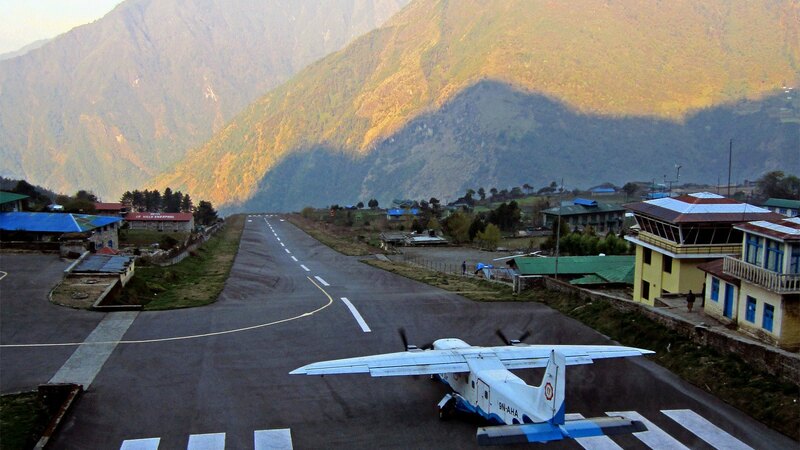 During the 30-minute flight from Kathmandu to Lukla (9,186ft), you will enjoy one of the most beautiful air routes in the world culminating on a hillside surrounded by high mountainous peaks. 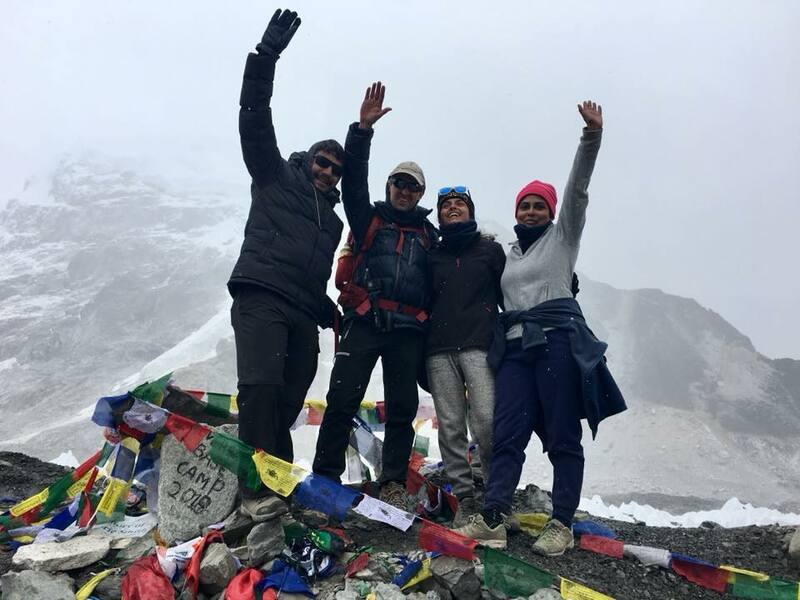 At Lukla, a gateway destination from where your trek begins, you meet your other trekking crew members and begin packing and arranging with them. From Lukla, you start trekking. At one hour’s gradual descent, you will be at a Cheplung village from where you have a glimpse of Mt. 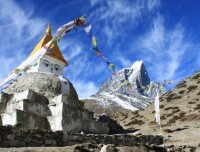 Khumbila (18900 ft), a sacred mountain which has never been climbed. From Cheplung, you then gradually descend until you reach Phakding and spend the night. Overnight at Lukla. Walking through a beautiful pine forest, you follow the trail north up the valley of Benkar. Then, you cross the Dudh Koshi River and go on passing Chumoa to Monjo, the entrance to Everest National Park. Then crossing a suspension bridge, you pass Jorsale village and walk alongside the Dudh Koshi and Bhote Koshi rivers. A steep ascent brings you to the prime heartland of Sherpa village - Namche Bazaar. At one hour’s distance to reaching Namche Bazaar, if the weather permits, you can view the sights of Mt. Everest and Mt. 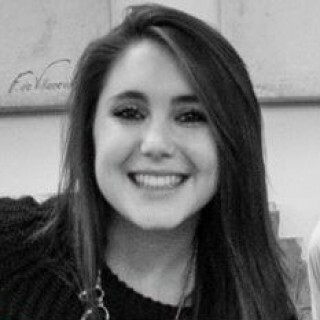 Lhotse. Overnight at Namche. There are plenty of things to do around Namche Bazaar, and you can spend a day here acclimatizing. Namche Bazaar is the main center of the Khumbu region and has government offices, ATMs, Internet cafes, shops, restaurants, and a colorful market. 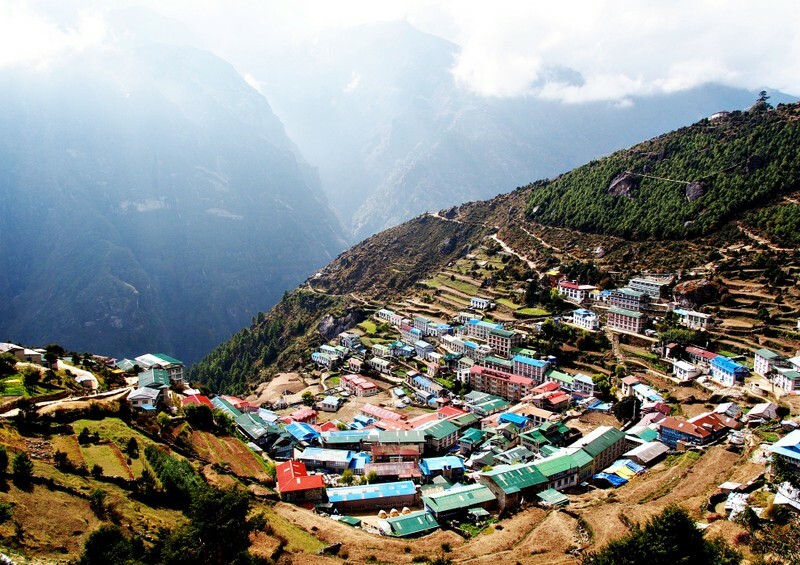 Your guides can take to explore the real charm of Namche Bazaar. 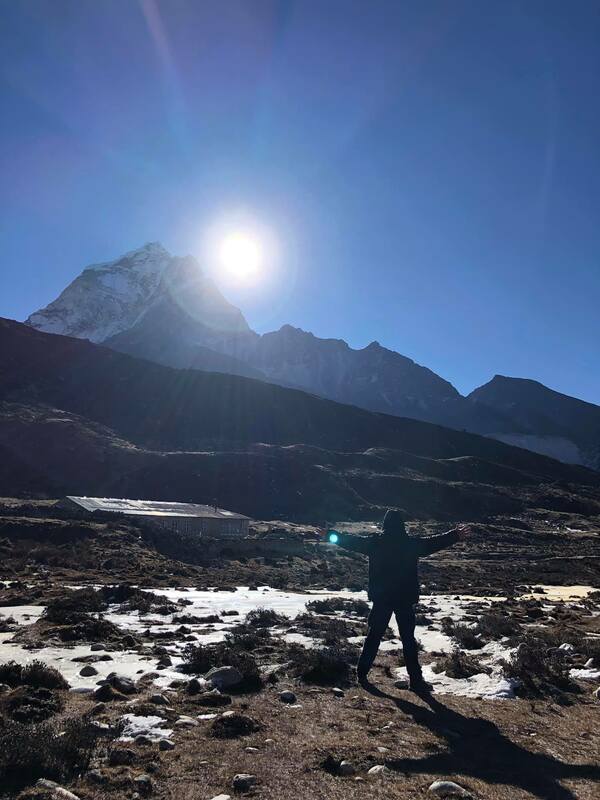 Hiking to Sagarmatha National Park rewards trekkers with a sunrise view and the views of Mount Everest, Lhotse, Nuptse, Ama Dablam, Thamserku, Kongde and so on. 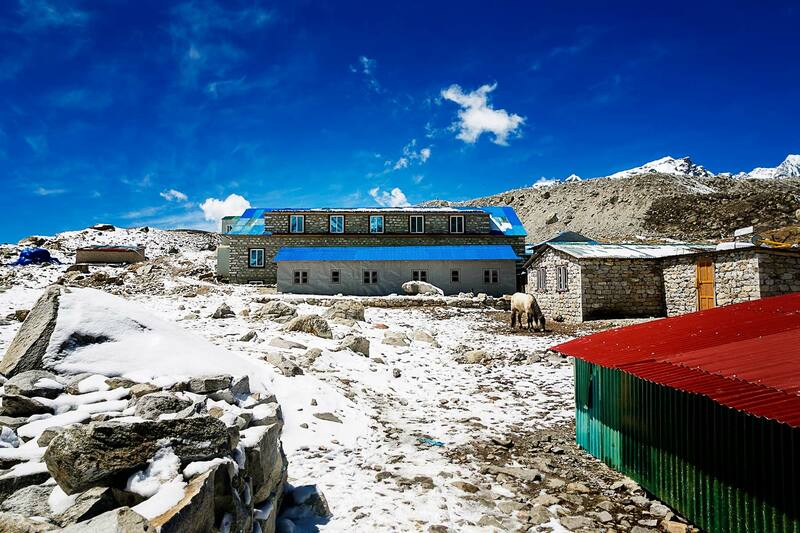 If you are interested in a day hike, you trek to Khumjung village (12401 ft)-a beautiful village with a Sherpa settlement. In exploring Namche Bazar, you observe traditional Sherpa life, Khumjung Hillary School and enjoy the flora and fauna found at such altitude. Overnight at Namche. 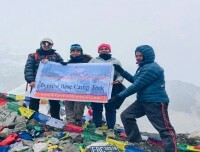 This segment of the trek includes the famous descent to the Dudh-Koshi River and the equally famous ascent along the rhododendron forests to Tengboche. 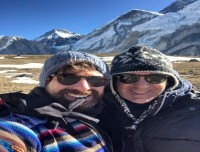 While descending to the Dudh Kish River, you enjoy the views of mountain tops like Mount Everest, Lhotse, Nuptse, Ama Dablam, Thamserku, Kongde and so on. 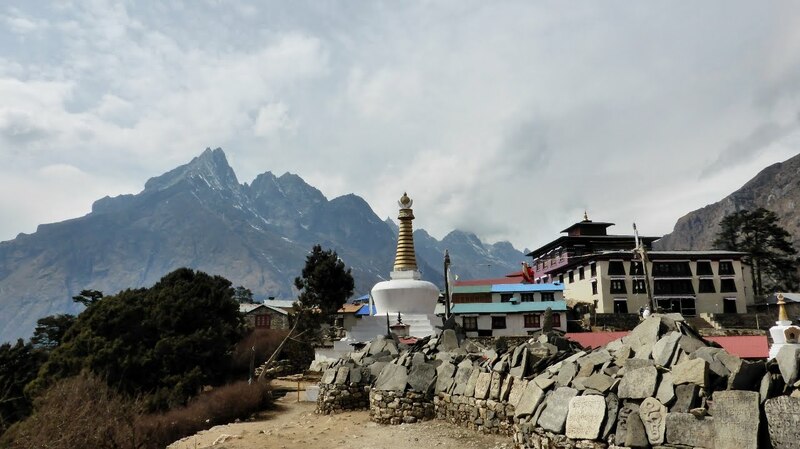 Upon reaching Tengboche, you will visit the Tengboche Monastery-the largest monastery in the region and soak in the views of Everest, Ama Dablam and other peaks. Overnight at Tengboche. You descent and trek through forests filled with a variety of lush trees – birch, conifers and rhododendrons. This journey again rewards with tremendous views of Mt. Everest, Lhotse, and Ama Dablam. The picturesque trail dips down to Devuche, crosses the Imja River and takes to Pangboche. 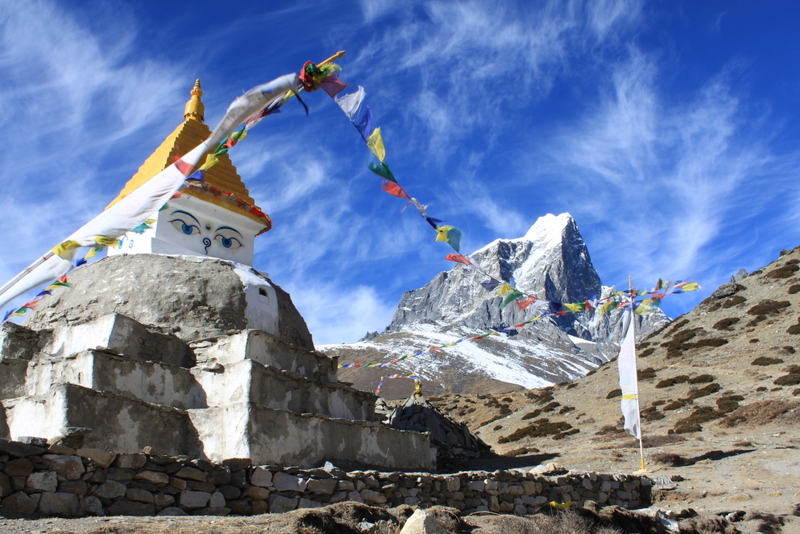 The upper Pangboche trails reward you with a more pristine view of the Himalayas and the Pangboche Monastery. The trek moves ahead towards the Imja Valley, Lobuche River and ultimately begins climbing up to Dingboche. At Dingboche, you see a beautiful array of fields enclosed by stone walls to protect barley, buckwheat and potatoes from the cold winds and grazing animals. Overnight at Dingboche. 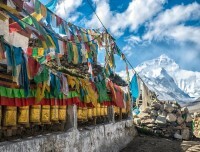 Dingboche is a popular stop for trekkers and climbers headed to Mt. Everest, Ama Dablam or Imja Tse. The village is beautiful with an array of fields enclosed by stone walls to protect barley, buckwheat and potatoes from the cold wind and grazing animals. 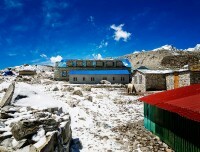 You spend a day at Dingboche for acclimatization. You take day hikes to either Nagarjun Hill or Chukkhung Valley for great views of Makalu, Lhotse, Chalotse, Tawache and Ama Dablam. Overnight at Dingboche. You start the day with a gradual climb to Duglha at the end of the terminal moraine of the Khumbu. 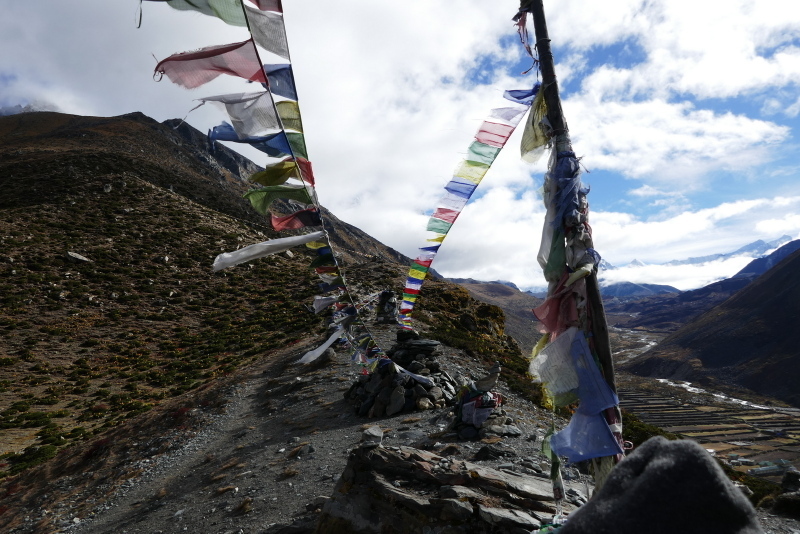 From here, you climb up a steep trail to Chupki Lhara, where you find an array of stones with prayer flags used as memorials to Scott Fischer (American mountaineer) and 10-time Everest submitter Babu Chiri Sherpa (Nepali mountain guide) who perished on a mission to climb Everest. Next, you continue to the Khumbu moraine and find ourselves facing several great peaks - Khumbutse, Lingtren, Pumori and Mahalangur Himal. The trail then eases off as you follow the valley to Lobuche. 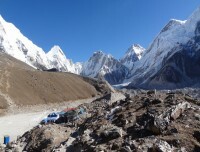 Overnight at Lobuche. 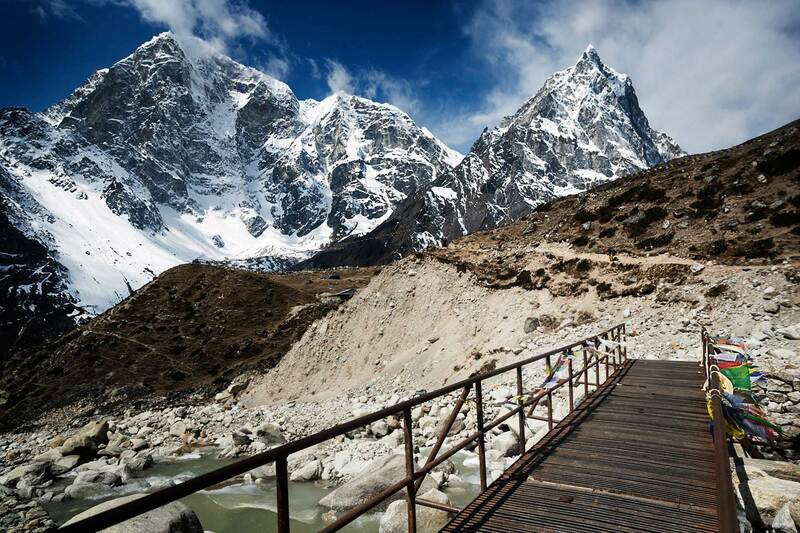 You take the trail to Everest Base Camp through the once vast Gorak Shep Lake. Continuing straight ahead, you come across the Indian army mountaineers' memorials. 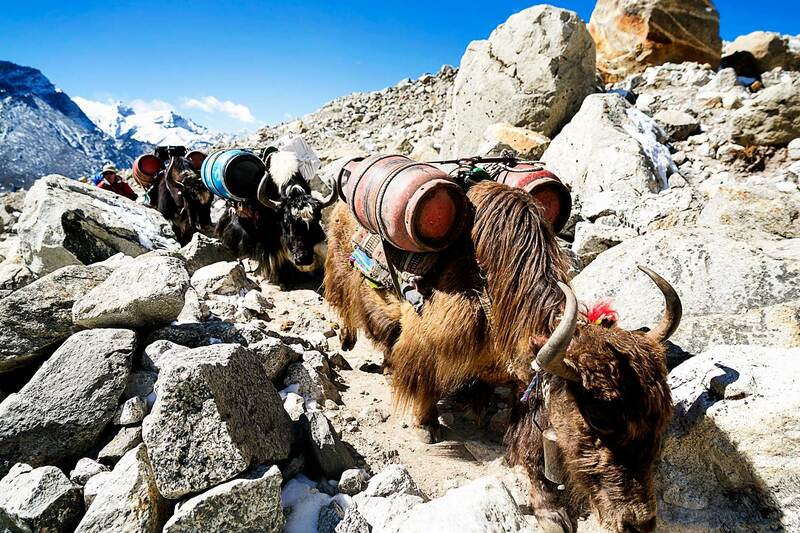 The path from here can be misleading; hence, it is important that you follow your lead Sherpa diligently. The walk is strenuous due to the thin air in the high altitude. You pass through rocky dunes, moraine and streams before reaching the Everest Base Camp. 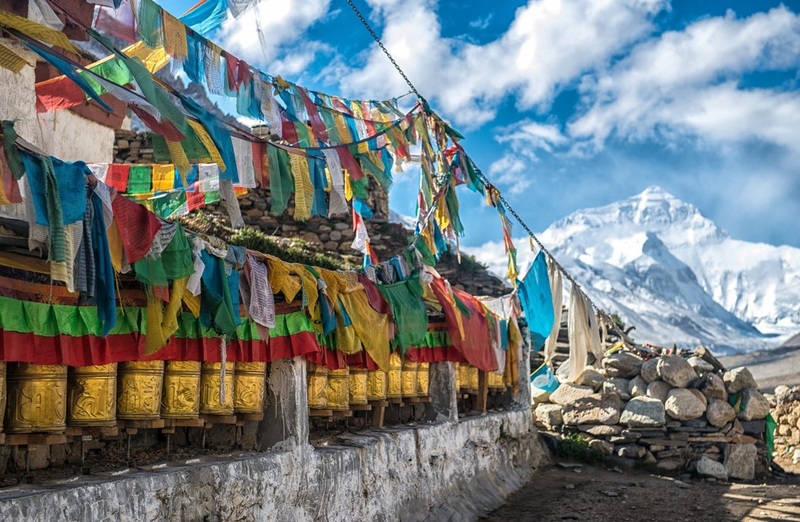 Upon reaching the Everest Base Camp, you see the tents of mountaineers that stand out in bright colors against the monotony of gray surroundings (especially in the spring). Nuptse, Khumbuste and Pumori are the mountains you can view from the base camp. You get back to Gorak Shep for a good night's rest. Overnight at Gorak Shep. You prepare for an early morning departure, amid pre-dawn darkness and cold temperatures (-10 to -14 C). Plus, there is always the potential for chilly winds which are quite common. Familiar peaks such as Lingtren, Khumbutse, and Changtse tower to the east even as Everest begins to reveal itself. But, it is upon reaching Kala Patthar that you get to see 360 degree up-close and formidable views of Mt. Everest. You take pictures, enjoy the magnificent mountain panorama, and then return back to Lobuche for a good night's rest. Overnight at Pheriche. As you trek down through the hillside blanketed by rhododendron and juniper trees. After crossing the prayer-flag festooned bridge over the Dudh Koshi River, your trail follows the Dudh Koshi gorge descending rapidly through pine forests. In the forest, you may come across colorful pheasants and mountain goats. 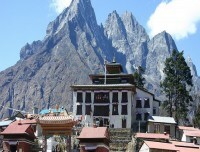 The path eventually reaches Sansa from where you can enjoy views of Ama Dablam, Thamserku and Nuptse mountains. You also pass winding trails, then through a forest before reaching Namche Bazaar. Overnight at Namche Bazaar. The trail descends steeply downward so you need to walk cautiously as your shaky legs continuously battle the rocky terrain. After crossing the suspension bridges over the fast flowing Dudh Koshi and its tributaries, the trail becomes more level and natural. After your arrival in Lukla, you stretch those sore legs and recall the experiences of the last couple of weeks. Overnight at Lukla. Catch an early morning flight to Kathmandu after your long mountain journey. After reaching Kathmandu, you can take a rest or do some souvenir shopping. If you want to explore any other areas of Kathmandu, you may do that. Your guides can help you with both souvenir shopping. There will be a farewell dinner in the evening to celebrate the successful completion of your journey. Overnight in Kathmandu. 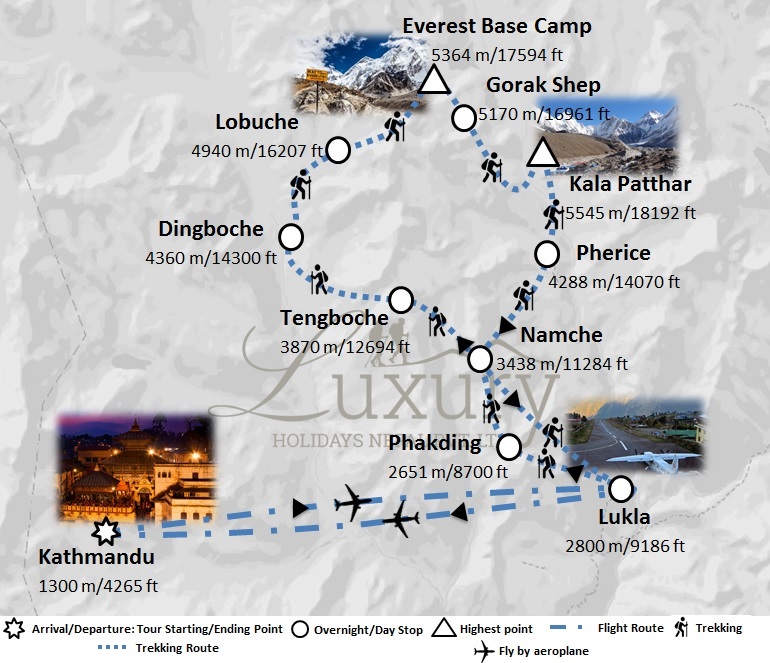 Luxury Holidays Nepal’s duffel, sleeping bag, T-shirt and trekking map. Lunch and Dinner while you are in trekking days (Meal costs about 3 -7 dollars per item depending on the place where you eat). I would like to start by saying that this is one of the most beautiful and mesmerizing place I have ever visited. The whole trekking has left our group surprised! It's not just the mountains but also the Nepalese people there are so friendly and kind. 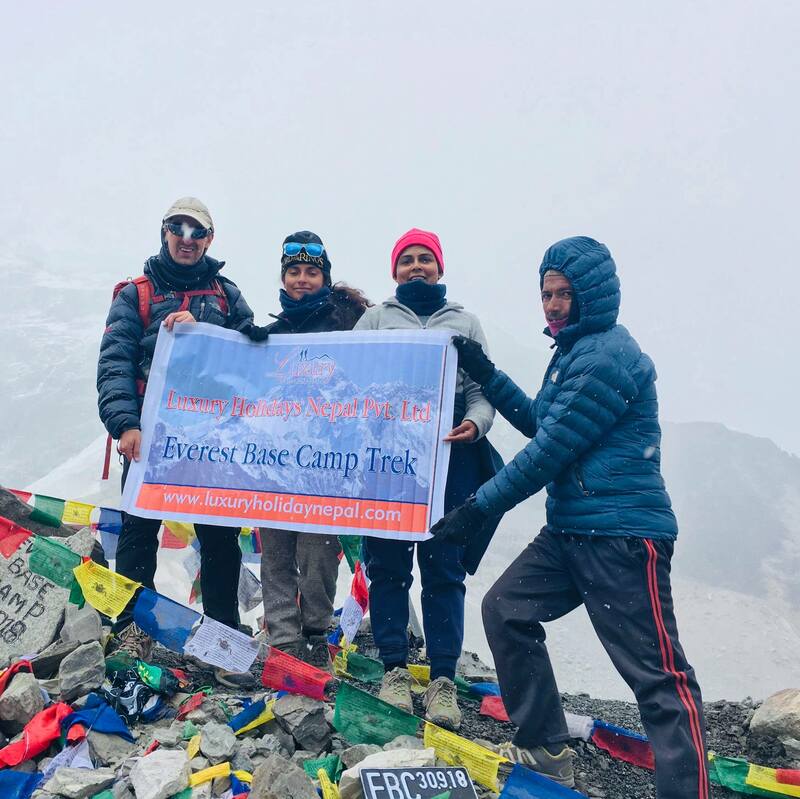 The person to whom we have to give credit to for making this such a wonderful trekking experience is Bikash Bhandari of Luxury Holidays Nepal. 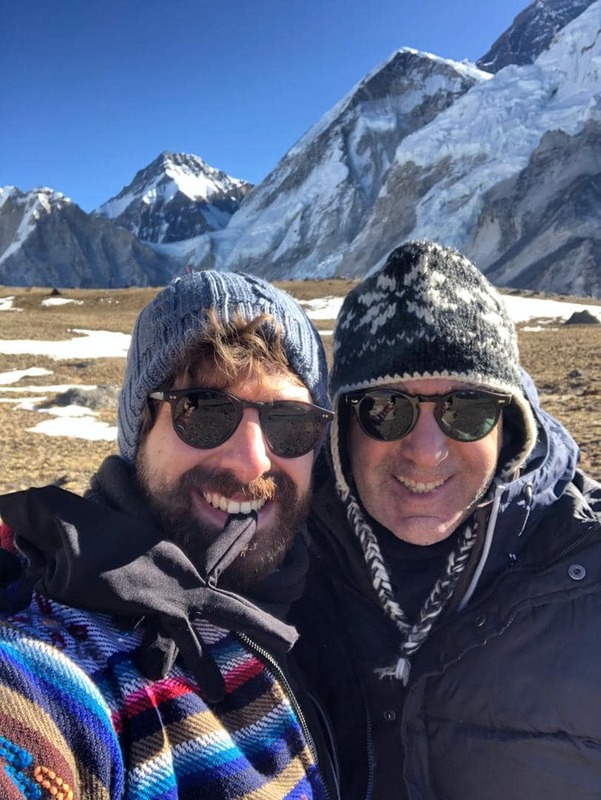 He truly is a lovely guide, he does not only know where to take you to get the best views, and he is also a person who is able to make you feel right at home in this wonderful place! If we decide to go back Luxury Holidays Nepal will be on top of my list to contact because they offer many trips as well. Highly recommended! 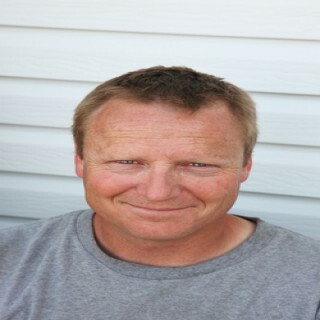 Amazing experience -guides and LHN Company! 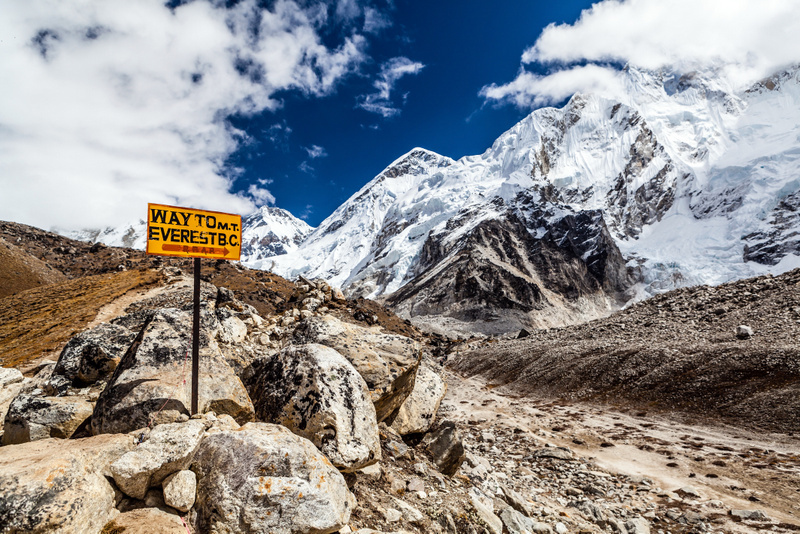 We had the opportunity to experience Everest trekking in the Himalayan region, all the way to base camp. 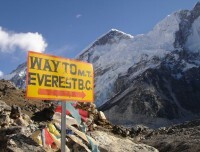 Our journey was of 15 days almost everything included with the trek from Luxury Holidays Nepal. The most memorable trip ever had and most amazing experience. A special thanks to our guide Ram and our lovely porters!!! Highly recommended and all the best to your team in the future!! 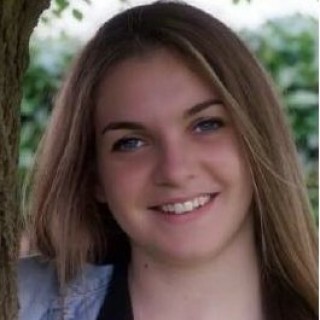 Hope to see you soon. Luxury Holidays Nepal provides you 3 stars hotels in Kathmandu and standard Lodge throughout the journey. Teahouse and lodge have the rooms with just the basics, normally with a bed, blanket and pillows. Every teahouse/lodge has a capacious dining room and lounge. We will provide you and your group at the lodge which is locally available every day (In some places rooms cannot be booked in advance). If you want the luxury accommodation of 4/5 star in Kathmandu then contact us for cost detail. Your meals aren't comprised in our price. Travelers take their breakfast and dinner at the tea house where they stay and lunch is taken during the trail in the local lodge. But breakfast is included in your packages. 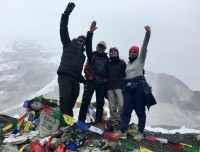 The lunches and dinners are not included in Kathmandu and in Trekking days, which cost from USD 3 to USD 7 depending on meal items and restaurant category. 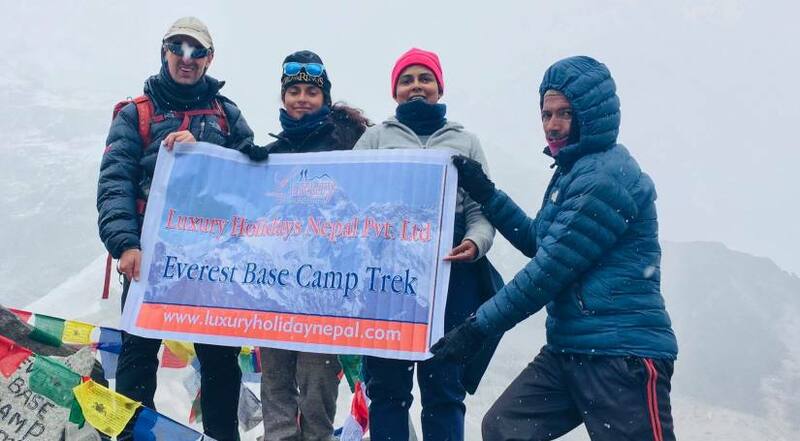 Luxury Holidays Nepal will offer you private luxury luxury vehicle for airport transferal, sightseeing tour and flight from Kathmandu-Lukla-Kathmandu.